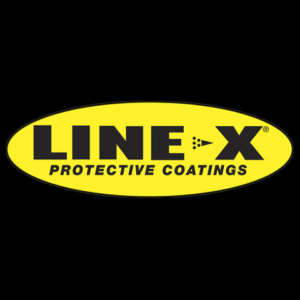 For over 20 years, LINE-X has provided its customers with high-performance protective coatings and technical expertise. We pride ourselves on solving complex problems with chemistry. That’s why each and every LINE-X applicator receives comprehensive product training, follows a multi-point inspection for quality control, and why our Product Development team puts each LINE-X product through rigorous physical testing. There’s a reason the LINE-X name is synonymous with toughness — we work tirelessly as scientists, engineers, technicians, enthusiasts, and our own customers to ensure our product is the best that it can be. 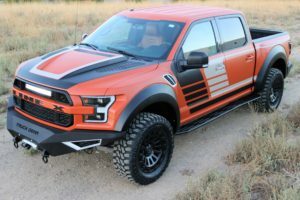 LINE-X, a global leader in extreme performance automotive coatings complemented with top shelf Truck Gear by LINE-X accessories, teamed up with custom car and concept vehicle builder, Kenny Pfitzer, to create one of most dramatically customized builds at this year’s SEMA Show: A 2017 Ford Raptor with completely machined body parts and stunning Truck Gear by LINE-X off-road accessory prototypes. LINE-X protective coatings have been used to safeguard bridges, farm equipment, construction equipment, boats, trailers and much more. Our coatings are specialized, high-performance spray-on elastomeric coatings engineered for maximum durability and limitless application potential. 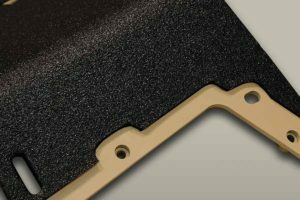 Because LINE-X Protective Coatings form permanent bonds at the molecular level, they have excellent adhesion to a wide variety of surfaces. 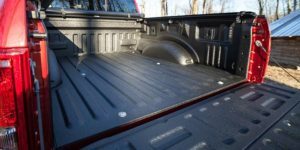 Whether applied to metal, fiberglass, concrete, plastic, or wood, LINE-X can absorb impact and resist damage by remaining both flexible and strong, without losing adhesion. Thanks to research and product testing in both harsh real-world and laboratory conditions, LINE-X has found chemical combinations that result in specialized attributes and applications. Adaptable and resilient, some of these coatings are rated for fire safety and approved for use in potable water applications. We are dedicated to providing our customers with products and solutions that exceed expectations. We promise premium performance, superior quality, exceptional value, and excellence in every dimension of your LINE-X experience.